Northern Vancouver Island is for getting lost in nature: kayaking with orcas, grizzly watching, caving, fishing, scuba diving, and skiing. This area of British Columbia is still a wilderness of rugged beauty that rewards explorers with solitude, secluded beaches, and glimpses of wolves, eagles, bears, even cougars, in their natural habitat. You can also learn about the area’s rich Indigenous culture and hike the northern tip of Cape Scott Trail. Here's what you need to know before you go, including a map of the location, wildlife viewing, and where to see a Kermode (Spirit) bear. North of the Comox Valley, Vancouver Island changes. The highway narrows to two lanes, the trees grow taller, and the rivers are more plentiful. Want to spend some quality time with some of BC's biggest residents? Check out our list of the top 5 places to spot whales, including Victoria and Tofino. 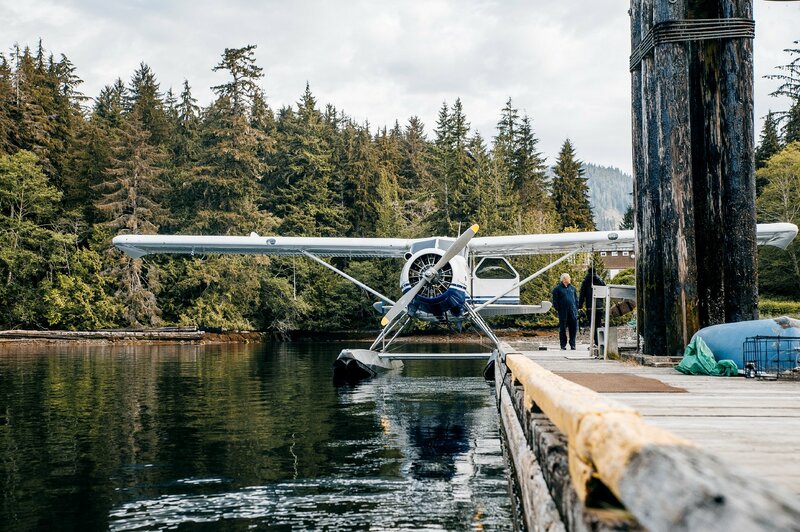 Journey to Northern Vancouver Island to meet the people and places that make it so spectacular, including Nimmo Bay Resort, Telegraph Cove Resort, and more. Heading to northern Vancouver Island in search of adventure and amazing images? Read about how two Vancouver-based photographers spent a week exploring. The upper third of the North America’s largest island is unspoiled and largely undiscovered, yet it’s just a day’s travel from Vancouver, Victoria, and Seattle. The area also stretches past the shores of Vancouver Island to include Broughton Archipelago, BC’s largest marine park, and magnificent Knight Inlet. Find places to go, things to do, and trails to roam.